Monevator – A great blog about money: making, saving, growing, and sometimes even spending it. Retirement Investing Today – A very thorough blog by an investor who follows the three-step strategy of Save Hard, Invest Wisely, Retire Early. Unconstrained Thinking – A blog from the value-oriented fund managers at Allianz Global Investors. 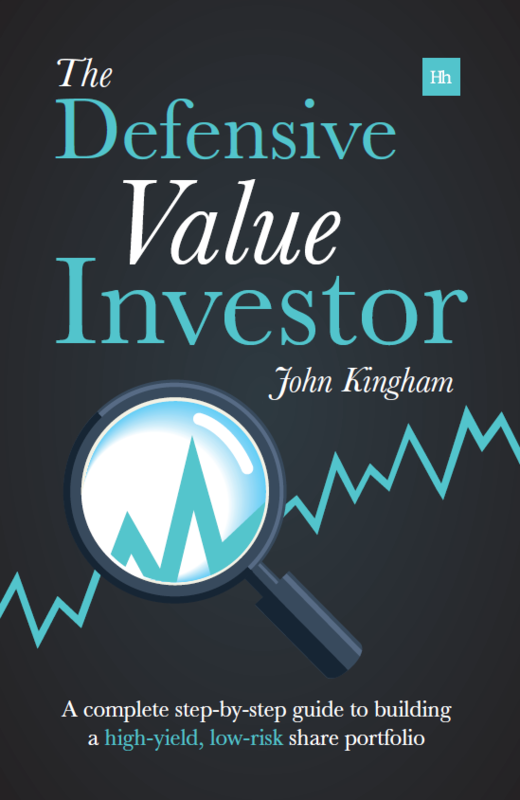 Value Walk – ValueWalk is a news site with global reporters responsible for breaking the worldwide news on Finance, Business, Politics, Economy and Technology. Which Investment Trust – WhichInvestmentTrust.com exists to inform, educate and perhaps entertain on the subject of Investment Trusts & related issues around investing. Barron’s Online Subscription – Subscribe now for only $1 a week for 26 weeks. Harriman Intelligence – From book publisher Harriman House, this site contains articles written by a range of its authors, covering topics such as business, economics and investing. Investor’s Chronicle – Probably the leading UK weekly magazine for investors. Investor Soiree – A new site which aims to aggregate news and blogs from the UK investment universe. Part of the “soiree” network including AIM Soiree, LSE Soiree and GOLD Soiree. 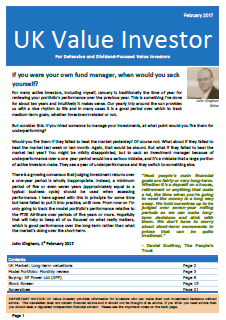 Master Investor Magazine – A free monthly magazine for UK investors. MoneyWeek – The UK’s best-selling financial magazine. Motley Fool – A light-hearted site with many topical articles on investing. Includes active forums. Shares Magazine – Another leading magazine for UK private investors. Stock market almanac – Website for the book. Posts interesting factoids about the stock market. Broker Compare – Compare online brokers and platforms. InvestEgate – An excellent source of RNS (regulatory news service) releases going back up to 10 years (i.e. annual results, interim management statements, takeover talks and other company specific news). MorningStar – Lots of news, videos, articles and tools for investors in shares and funds. ShareScope and SharePad – Very popular trading and investing software which I use for company data and to track the UKVI model portfolio. If you sign up after clicking on that link you’ll be eligible for one free month. Stockopedia – A leading stock screening site with many advanced features. Has an active discussions area. Top 100 Dividend Blogs – A nice list of top blogs collated by The Frugal Student. ShareSoc – UK Individual Shareholders Society. Actively promotes direct share ownership and shareholder rights. Produces a monthly newsletter and has an extensive links page.